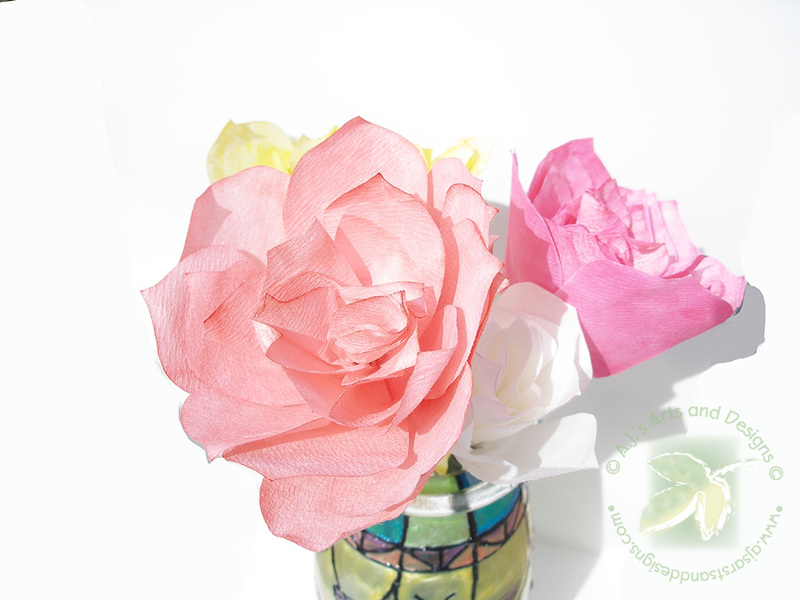 Sakura Blog Hop – Tiffany Inspired Vase with Flowers | Who Are You Calling Crafty? Welcome to Who Are You Calling Crafty! 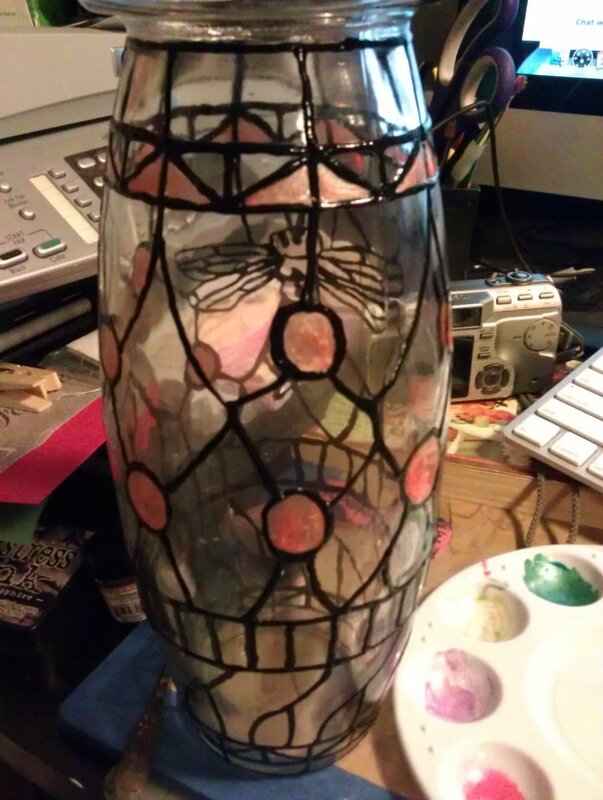 I am honored to be apart of the Sakura Craft Hobby Blog Hop featuring Terri Sproul’s Mixers and 3D Crystal Lacquer. 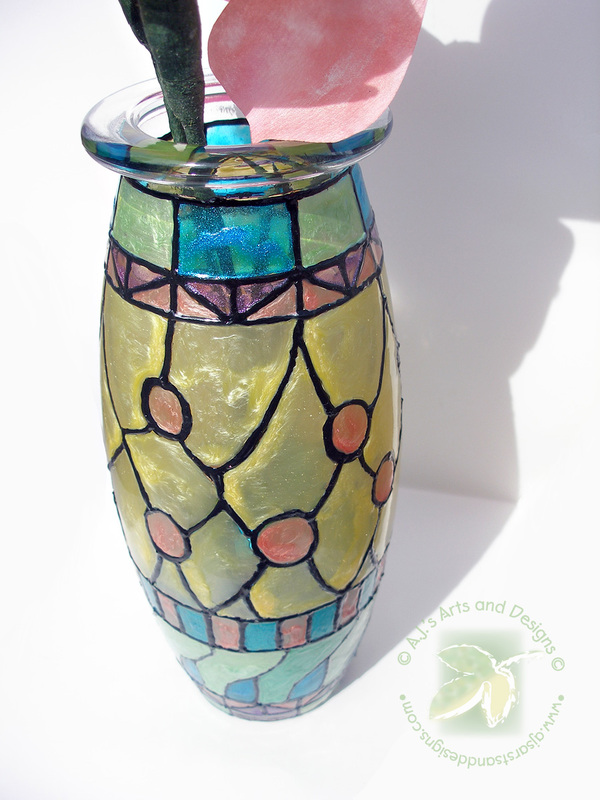 My project was inspired by a Tiffany Glass Vase and what is a vase without flowers? I made the flowers on my show here is the playback. My helper bringing me flowers. 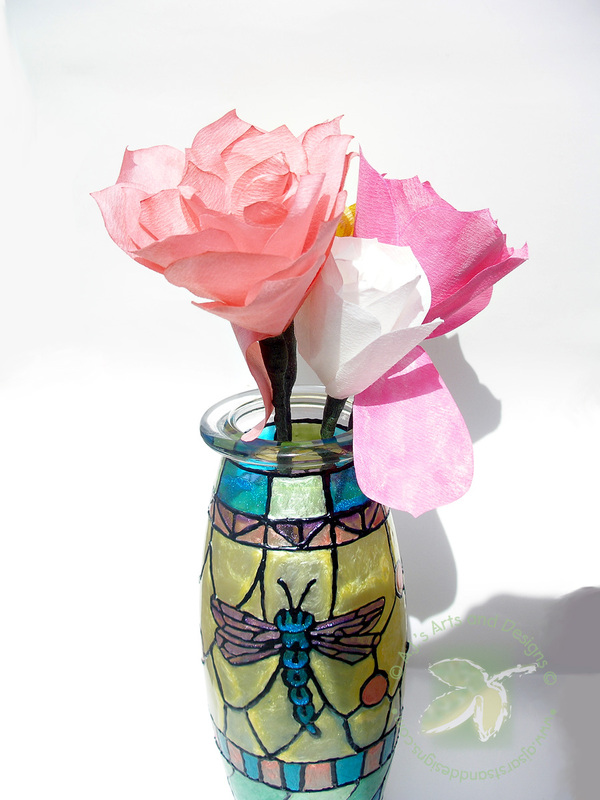 The flowers were painted with Rose Pearl, Citrine Pearl and Red Pearl. I drew the outline with a dry Erase marker. 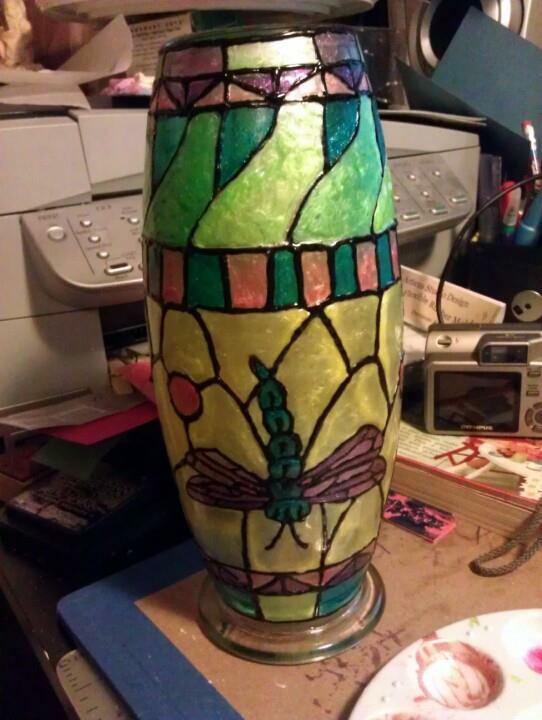 Added puffy paint to the vase. Puffy Paint outline drying on a high shelf. Once the Puffy Paint dried I used a kneaded eraser to erase the Dry Erase Marker. Red Peral and 3D Crystal Lacquer added. 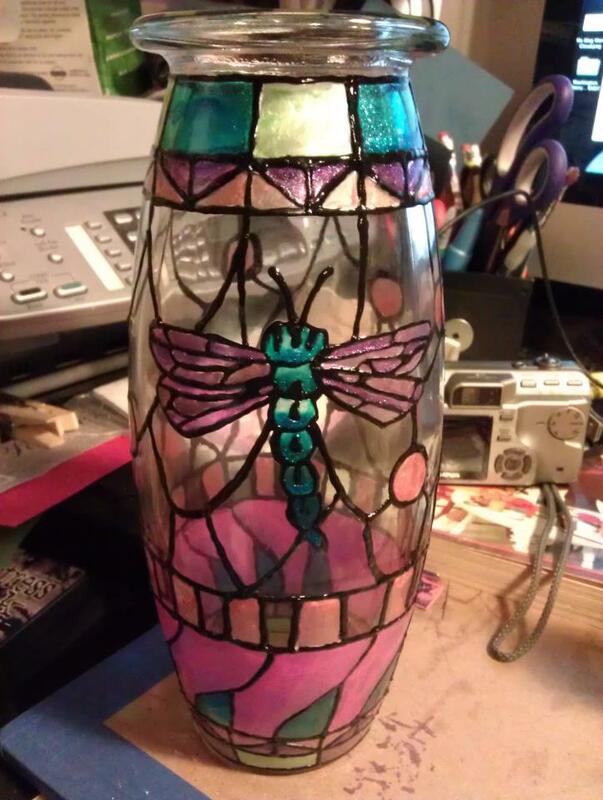 Dragonfly finished with the Shimmer Violet and Shimmer Tanzanite. 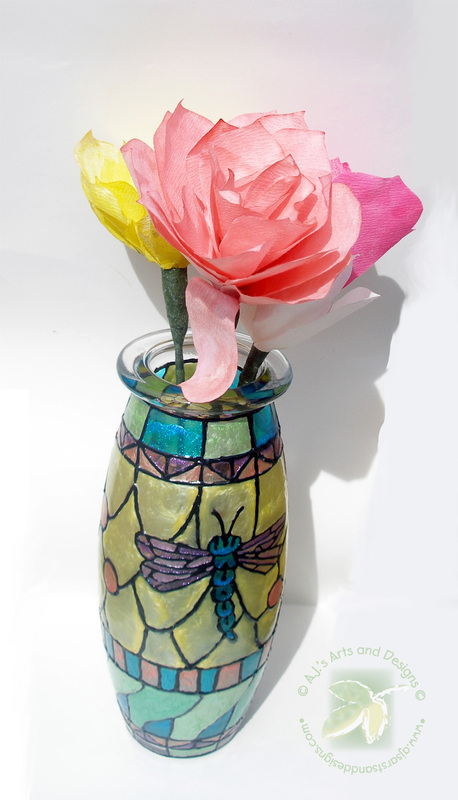 The Pink was the Shimmer Pink Sapphire a beautiful color it was too bright for my vase. The removal process of the Pink. The Yellow Citrine Pearl – I would flip the case over every couple of minutes so the lacquer wouldn’t run. To get the various shades of green I added Citrine Pearl and Tanzanite together. There is blog candy for you (and me as well if you like my project). Please leave a comment on each of the blogs on this hop and tell everyone how much you like their projects! Then go back to the very beginning and tell Sakura Hobby Craft what project you like best. The project with the most votes wins! The prize is 3D Crystal Lacquer and 3 of Terri Sproul’s Mixers!!!!!! Trust me you will LOVE THEM!!!!! This vase is so gorgeous and the flowers are lovely too. Nice job. 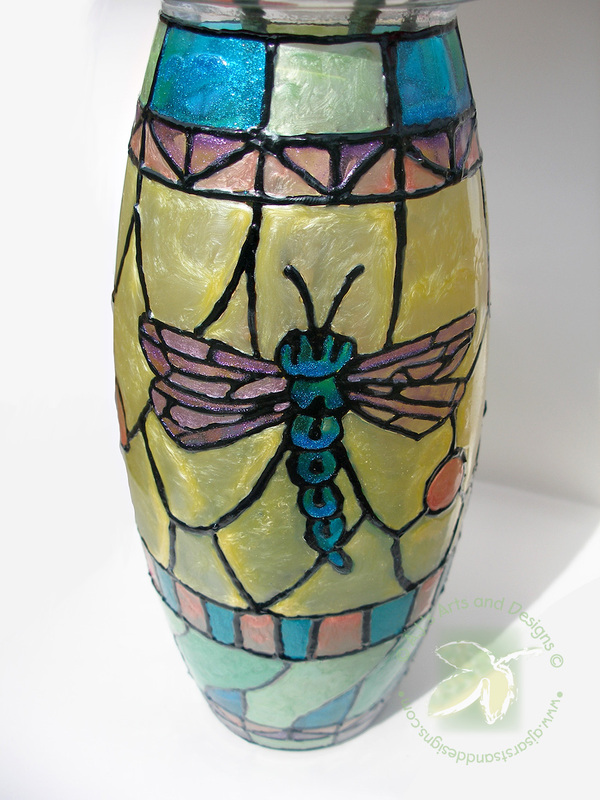 Love the detail on your large vase… the Mixers really show their colors!!!! 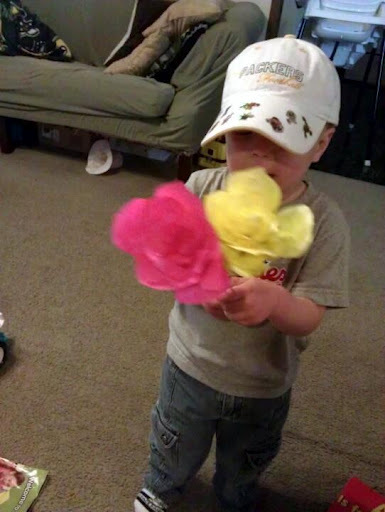 now I see why you needed such big flowers… Great little helper! 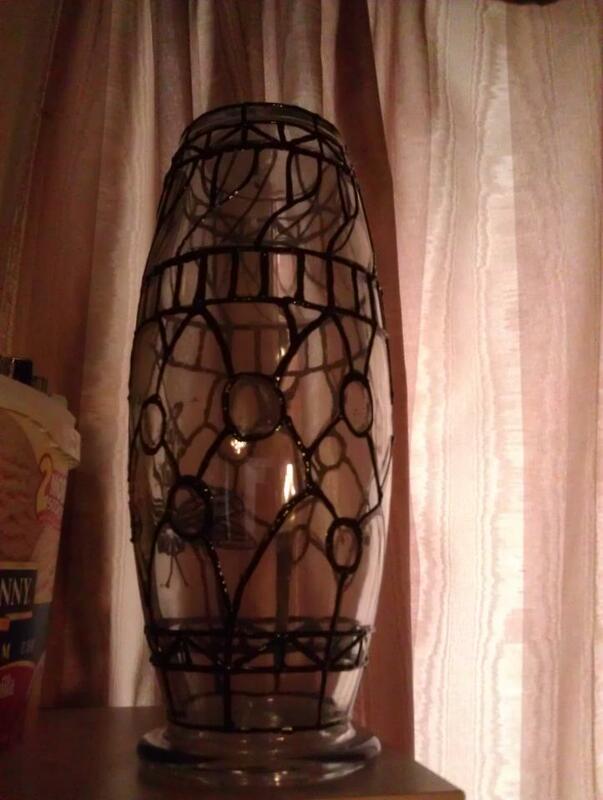 The vase is stunning. I can see it inspiring some amazing Christmas presents. 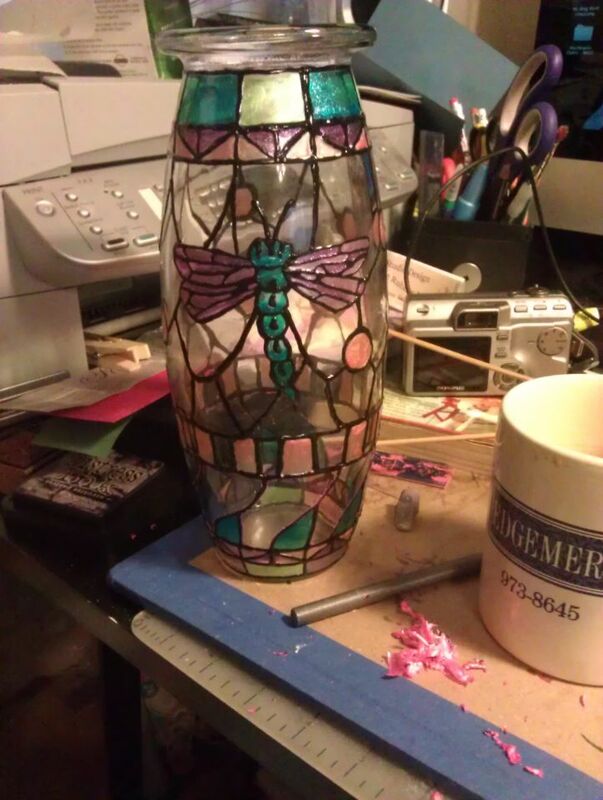 I have always wanted to take a stained glass class, but where? Now I don't need one! Thanks for the chance to win! You did an awesome job. Love the colors. Great job! 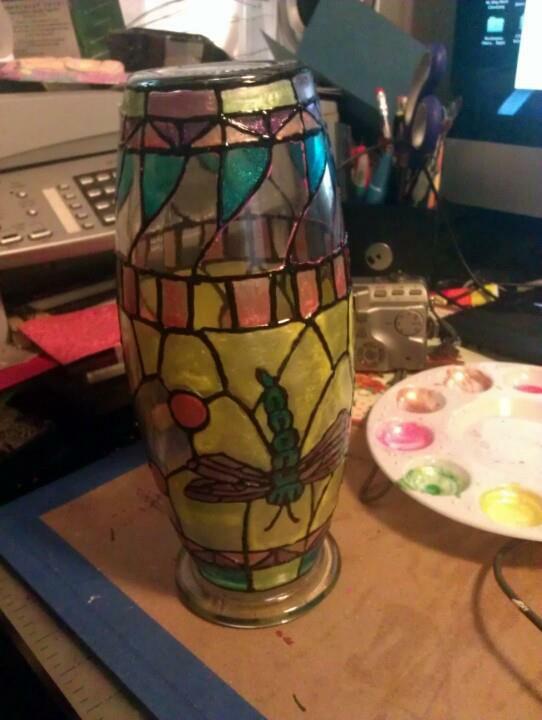 I have tons of vases can make one for every holiday now. Wow! 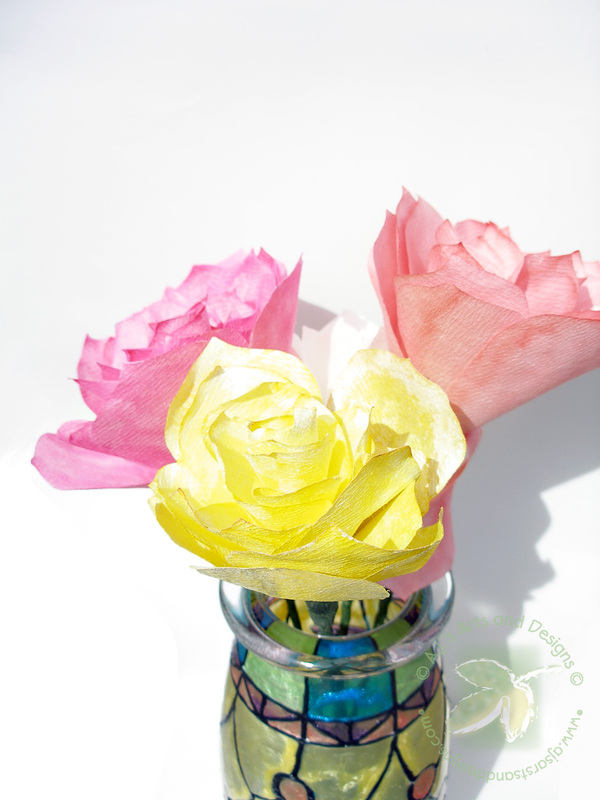 Your vase and flowers are gorgeous! Tfs! That vase is to die for! Like the gold color in the vase. That is such a great project – makes me want to get creative. 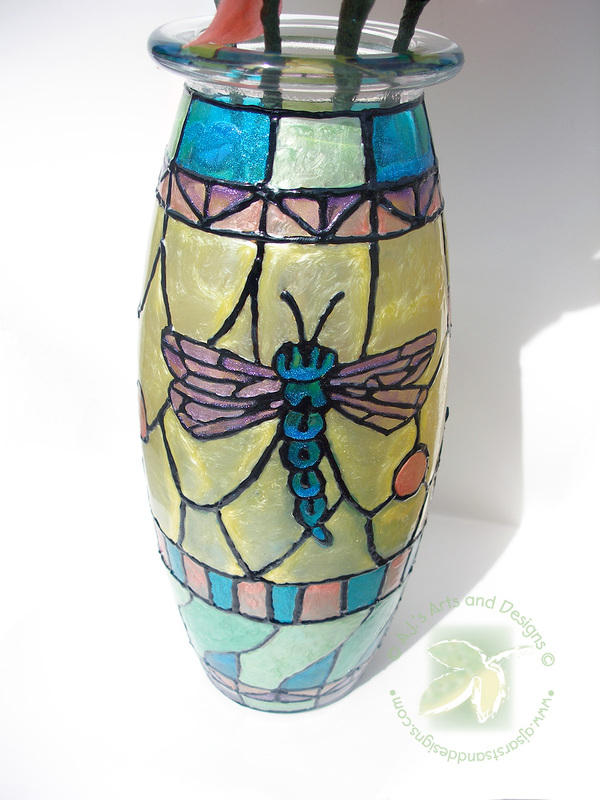 Love your colors and the dragonfly is fabulous!